This post would never have happened if not for the thinner. True story. Hello polish monsters! Yes, you’ve been waiting for it. No, I wasn’t going to cover it. Why? Because the first bottle I opened frustrated me. However, because so many of you asked, here it is. I hope these Essie Fall 2016 collection swatches are everything you wanted ‘em to be! 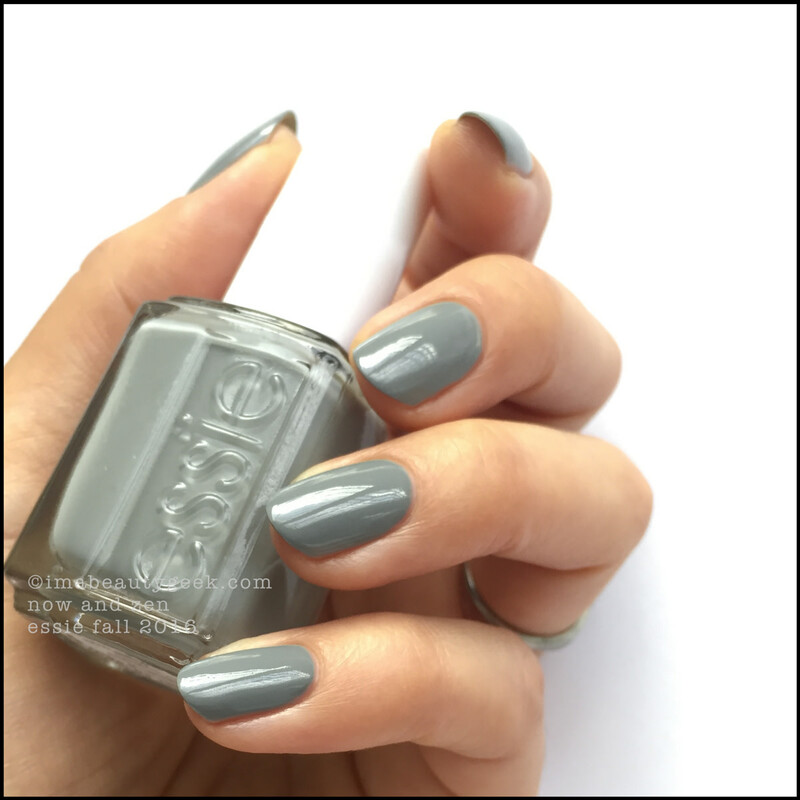 Essie Now and Zen – Fall 2016 (above). It’s grey. It’s 2 coats. 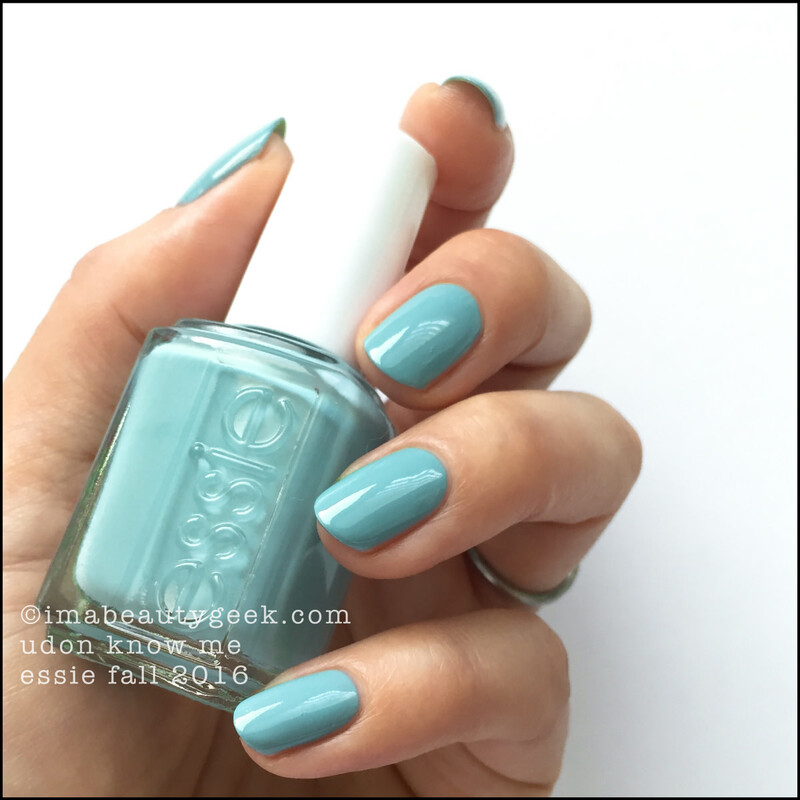 Essie Now and Zen – Fall 2016 (above). And wait… it’s also grey that leans slightly toward sage green. This right here is the very first time in my whole life that I’ve ever bought (and used) a bottle of nail polish thinner. Truth? I first swatched this months ago and because of the formula, I developed a near instant hate-on for it. 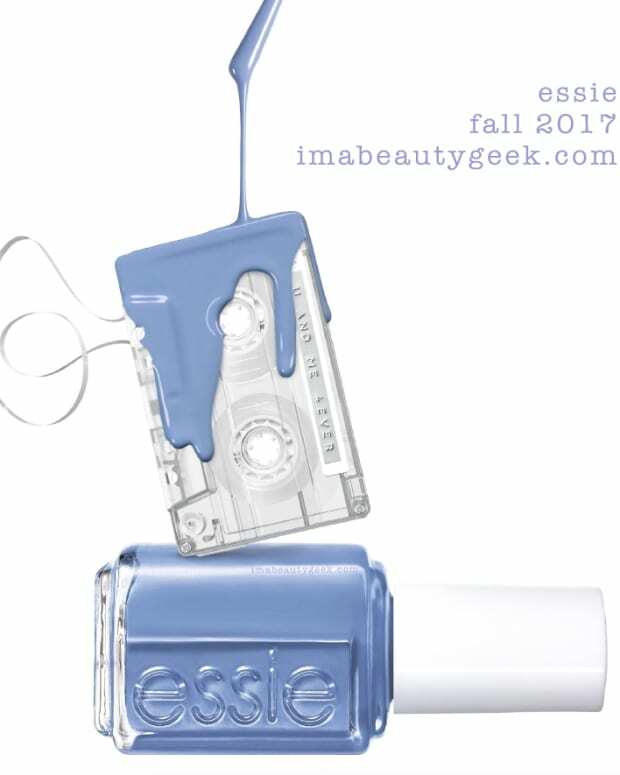 Essie has been making polishes with highly plasticized finishes than tend to be a little thicker than the older formulas. Usually I’m good with that, but this one is too thick for me. Too thick means I can’t push the stuff around or use the thin coats I prefer to use. Too thick means it makes me angry. Angry makes me not want to paint. Angry is why I wasn’t going to cover this collection at all. 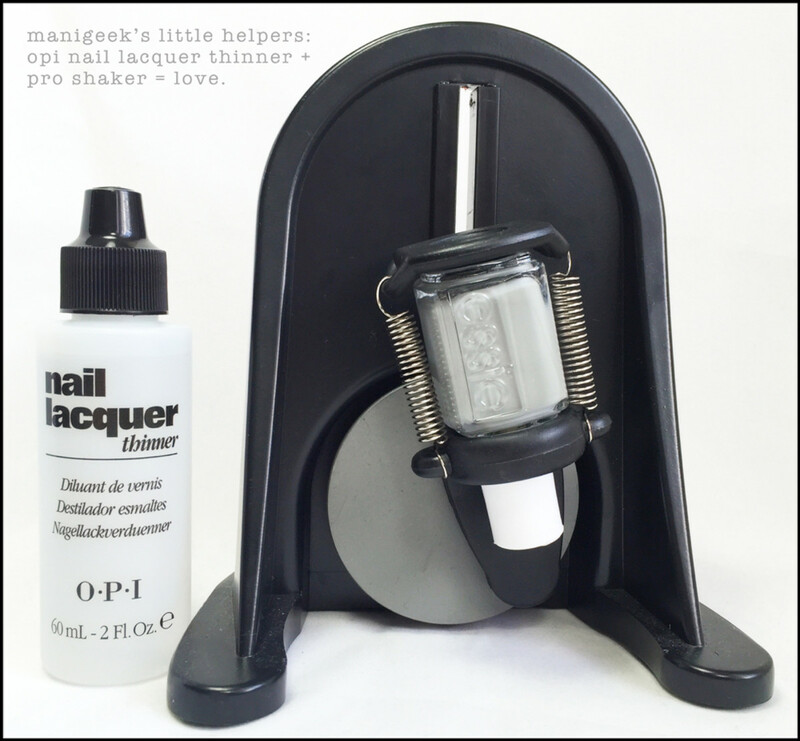 This coverage is brought to you by two drops of my new OPI Lacquer Thinner + one minute in my ProShaker (above). 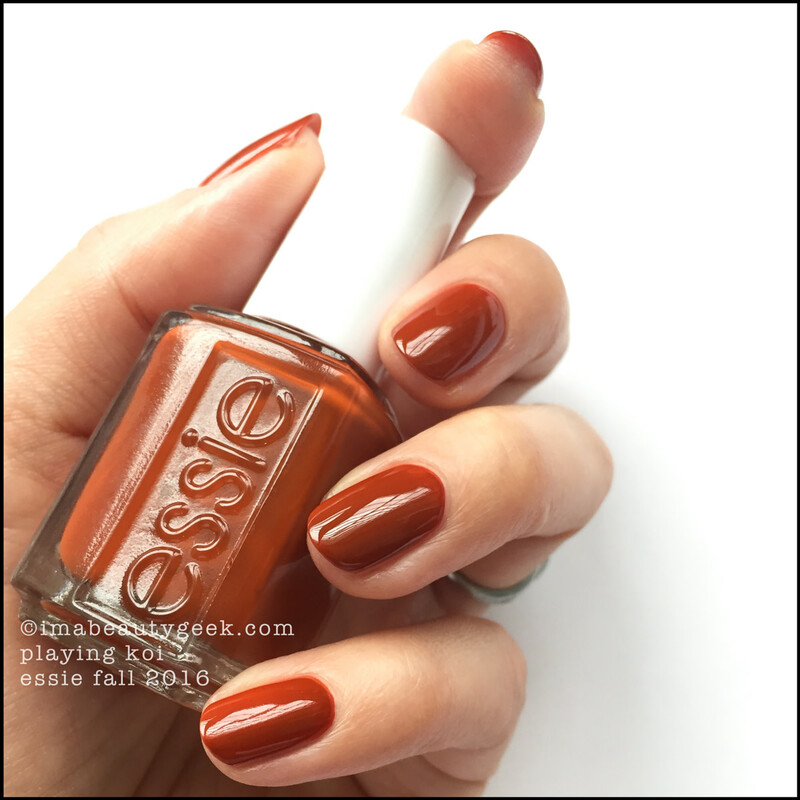 Essie Udon Know Me – Fall 2016 (above). I’ve seen an awful lot of swatches of this where the shade looks blue. Hey! Guess what!! It’s not blue. Instead it&apos;s really a dusty pale mint-turquoise that’s an absolute nightmare to shoot color-correct. This shot is pretty close, though still a little too blue. That’s 2 coats up there, and I will say the formula is much, much better than Now and Zen – still plasticized, but thankfully, thinner and easier to work. 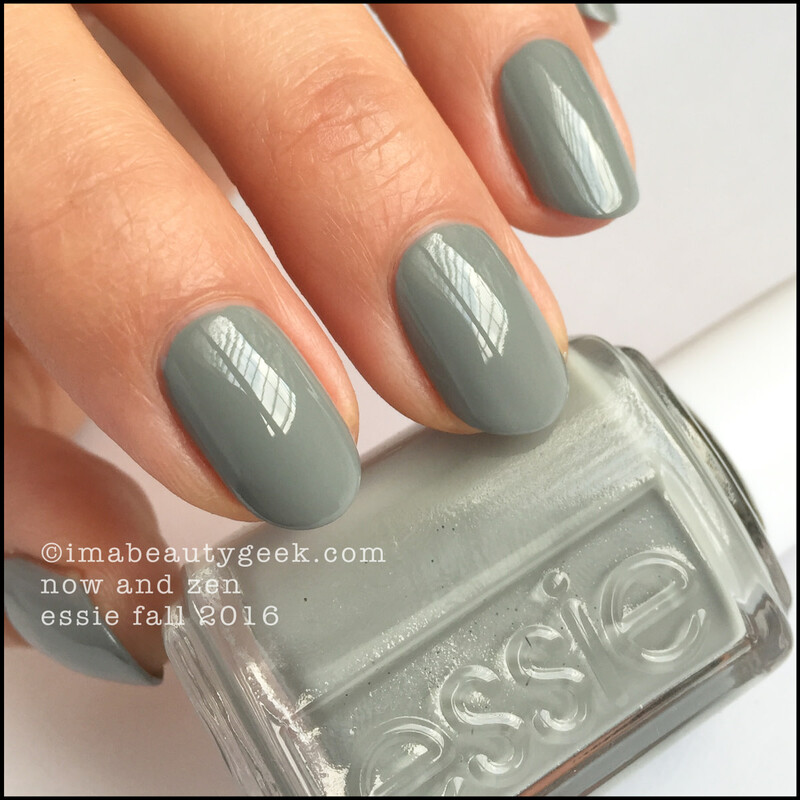 Essie Udon Know Me Mattified – Fall 2016 (above). Most of you have no idea how many pictures or how much work it takes to be sure what you see on the screen is not what my camera sees, but what my eyeballs see. Cameras lie. Mattified, the true colour was a little easier to capture – this image is closer to shade-actual than the previous shot. 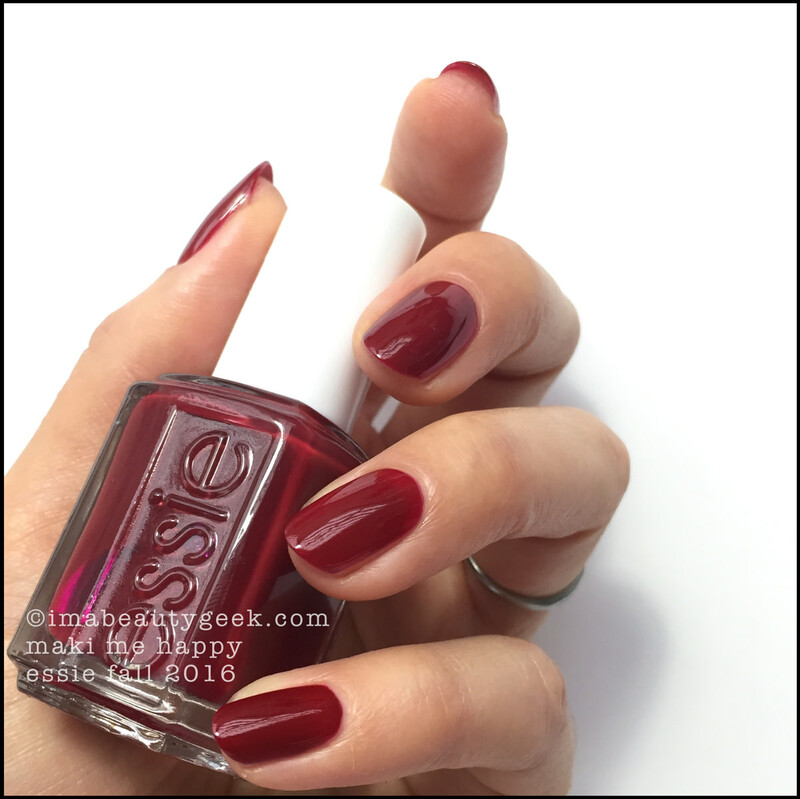 Essie Udon Know Me – Fall 2016 (above). After every single swatch that I shoot, I examine the polish-actual with the photo (exactly like this) to make sure they match. This thumb swatch and this bottle are true. This is the colour of Udon Know Me that my eyes see. There&apos;s only one swatcher out there who cared enough to show it to you right and it’s Lisa over at CosmeticSanctuary.com. How everyone else thinks it’s okay to show you this polish as blue is beyond me. Big, huge props to Lisa. If you aren’t following her blog or Instagram, you should be. 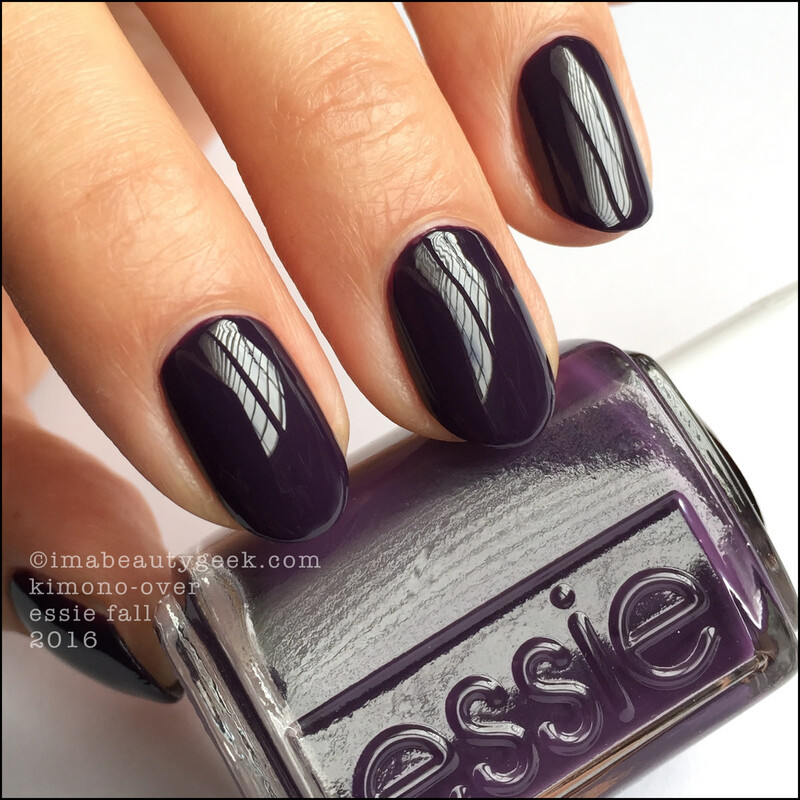 Essie Go Go Geisha – Fall 2016 (above). 2 coats, no top. There’s that highly plasticized finish that pops such a wicked shine. Essie Playing Koi – Fall 2016 (above). Autumn in 2 coats and no top. She might be a bit patchy, but if you’re careful and paint as evenly as you can, you can do it in 2. I like her. She’s the most Fall of this Fall collection. 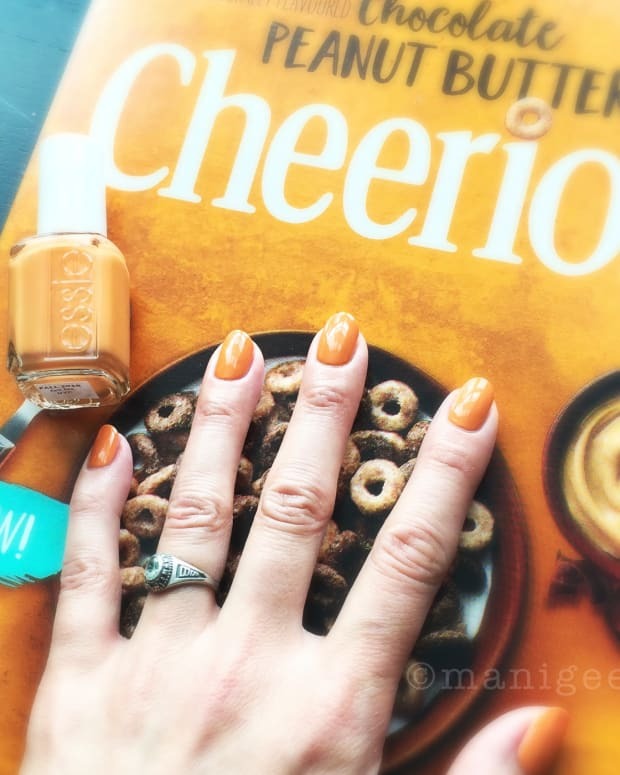 Essie Maki Me Happy – Fall 2016 (above). If you have a look at the bottom left corner of the bottle, you can see this thing is really a deep bluey berry red crelly that needed a little finesse to get on in 2 coats. You do get a little time to work it and you’ll definitely want to be careful on removal – she got my sidewalls and cuticles real good. Essie Maki Me Happy - Fall 2016 (above). See? A little finicky, but doable in 2. 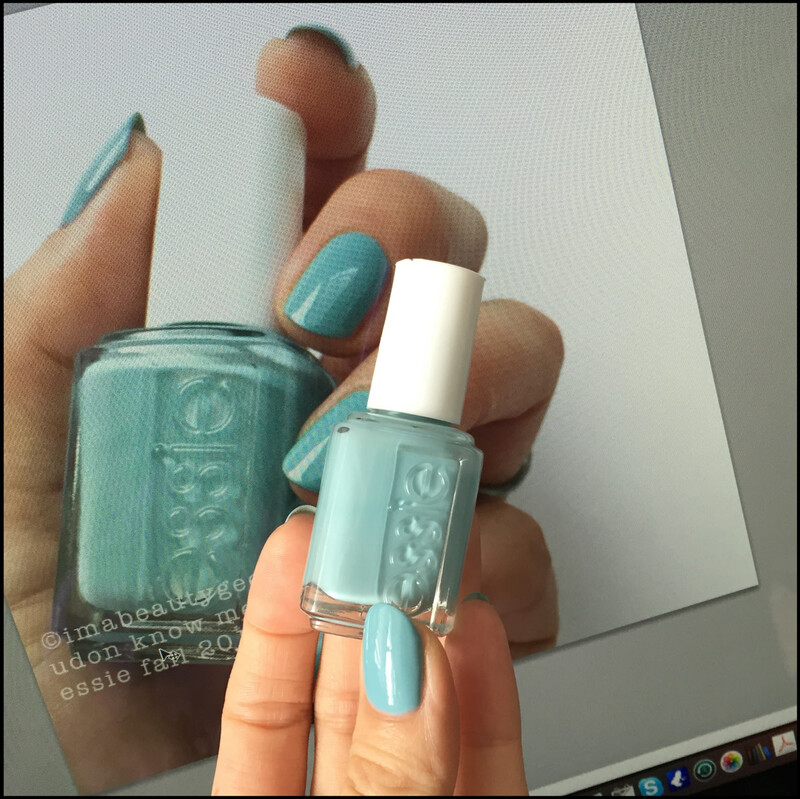 Essie Kimono-Over – Fall 2016 (above). I did 2 coats here, but know what? You can do it in one if you have mad skillz. I have mad skillz, but I still like to do 2 coats – stuff just sticks better and ends up looking more finished if you do 2. And that’s all I got. Well, that plus a new bottle of thinner. Will there be comparisons? Nope. Why? Because I&apos;m workin&apos; on Winter (below) as we speak! 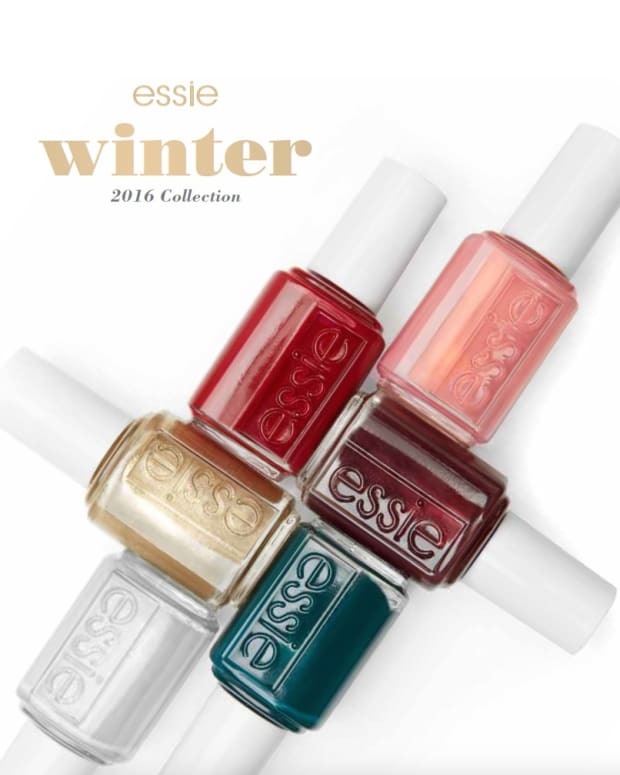 The Essie Fall 2016 Collection is available all over the place as of now. You can get it from amazon.com, ulta.com, tradesecrets.ca, Shoppers Drug Mart… you know, pretty much everywhere. 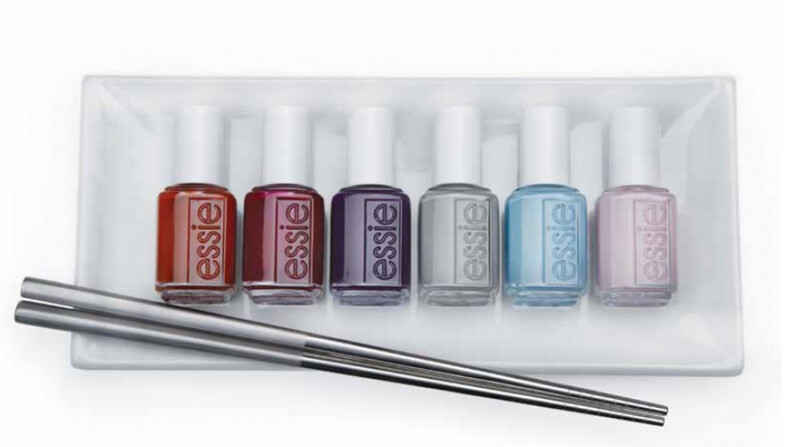 For more information on all things Essie, head on over to essie.ca. Manicures & Photographs Karen Falcon (her bottles of Essie don’t have top labels so she has to add her own).